Galtee Fireplaces provides clients with the very latest in modern granite kitchen worktops, fireplaces, stoves and customised stove bases. 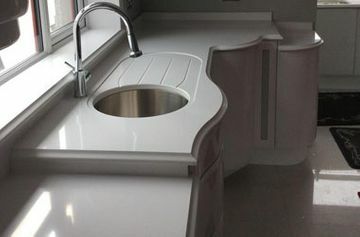 Our ranges of worktops are available in granite quartz and sandstone. These innovate and tough materials are designed to be moisture resistant and stain resistant. We offer clients a long-lasting, beautiful contemporary worktop that is customised to the client’s unique sense of interior design. Our range of customisable fireplaces and are both functional and beautiful and often become the centrepiece of a living area. Our heat efficient stoves are designed for the modern energy conscious homeowner. Our stoves are available in a range of designs and shapes, and we’re sure to have the right stove for your premises. Get in contact with us today for more information on our range of worktops, fireplaces, and stoves. We provide our clients with contemporary kitchen countertops made from granite, quartz and sandstone. These durable, beautiful and extremity stylish countertops can be customised to the specifications of the client's kitchen and can be seamlessly integrated into the unique interior design of the property. 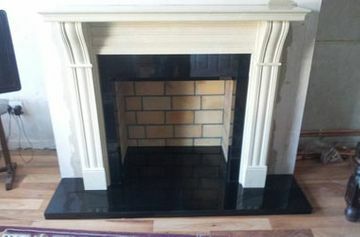 Our majestic, modern fireplaces bring the very latest in contemporary stonework to the Irish market. Available in a range of elegant styles and stunning colours, our fireplaces can really tie a living area together, and often become the centrepiece of the room. Our range of heat efficient stoves are the perfect home heating solution for the energy conscious homeowner. 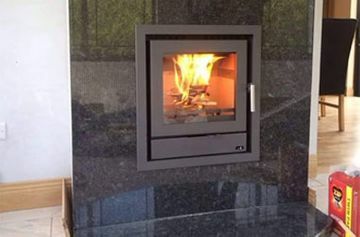 Our selection of freestanding and insert stove can be integrated into any property and their compact contemporary and traditional design mean they can be installed almost anywhere.